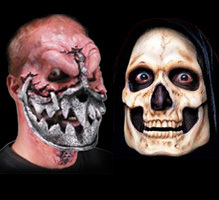 Today being Halloween, I’m thinking about all of the masks and costumes that are being worn. When we know someone well, we can usually still tell who they are underneath their costume, by identifying subtle clues such as body language or the general feeling. I bring this up today to introduce another aspect of diagnosis in Heilkunst, which is that of identifying the essence of a disease, rather than its outer form which may be changeable. This goes back to Dr. Hahnemann, who identified that there are two types of diseases — those of a constant nature, and those of a variable nature. The constant nature diseases are constant at the level of their essential nature, although they may manifest in different forms under different circumstances. Once the Heilkünstler gets to know the essence of constant nature disease, they will tend to become more and more competent at identifying it under a variety of manifestations, the same way that we will tend to easily identify our close friend even when they’re wearing a costume. Some of the constant nature diseases (otherwise known as “tonic” diseases), included the miasms, both of a chronic and of an acute nature. Also, diseases which are the result of a particular type of shock, whether of a physical or mental/emotional nature, will produce a specific corresponding form of disease, which always is treatable by the same remedy. Any injury involving nerve damage, for example, will always produce a disease that is treatable by the remedy Hypericum. Due to the constancy of this category of disease, the Heilkünstler is able to very reliably identify (diagnose), and then cure them with their fixed remedy. It’s as if they have xray vision, and are able to see through the mask and costume of any disease, directly into its underlying true identity.